Foliage: The stem is angular and rough, and the alternate, finely-divided leaves are feathery dark green. The plant has a strong odor. Flowers: Flat-topped panicles consisting of numerous small flower heads from spring through autumn - longer if regularly deadheaded. 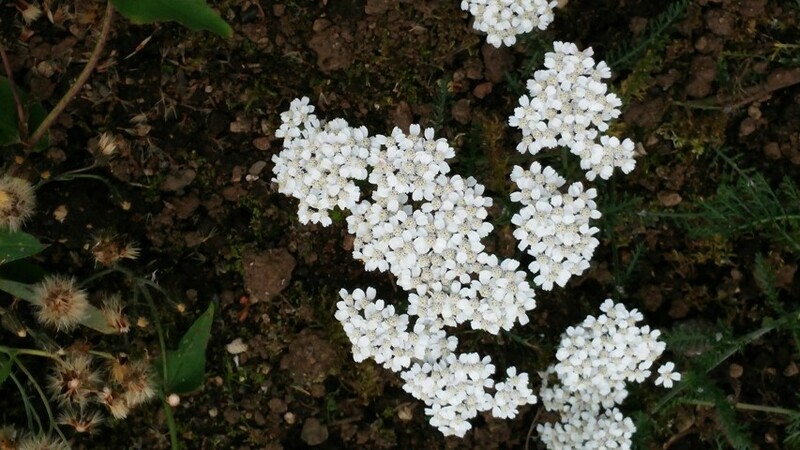 Flowers are white in the wild variety, or shades of yellow to pink to red in the cultivars. Cultivars: The straight species is rather weedy and has week stems (below). New cultivars are being developed with stronger stems and interesting colors, like ‘Terra Cotta’, right.